Soon the year is going to give you the pleasure of one of the biggest celebrations of the nation, navratri. On the arrival of this occasion we consider it necessary to let you know about the top 9 must do things in india during Navratri. In this article we are going to mention all of these things and you ought to make it a point to cover as many as you can. 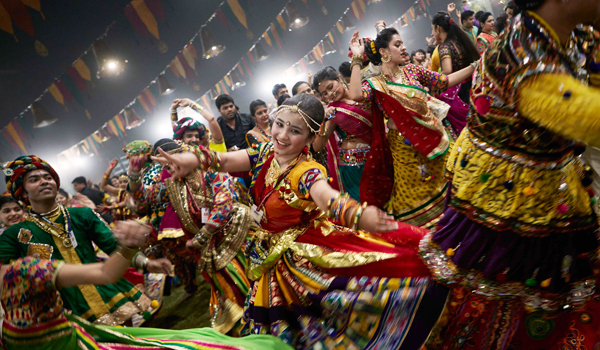 This navratri you need to dance to the folk tunes. This you ought to do with the lamps as well as the sticks in your hand. Women can opt for wearing the traditional lehenga cholis whereas men in traditional kedias look glamorous. 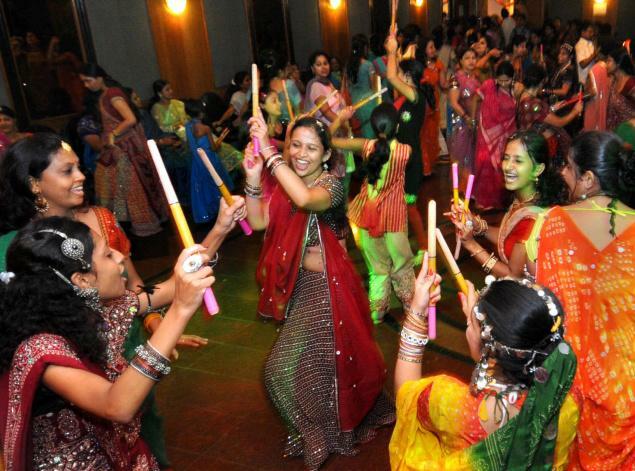 On the festive evenings you need to gather to enjoy garba as well as dandiya raas. This is the major attraction in the cities that include Ahmedabad, Surat, Baroda, Gandhinagar etcetera. Also, the small villages make it a point to perform the same with great enthusiasm. 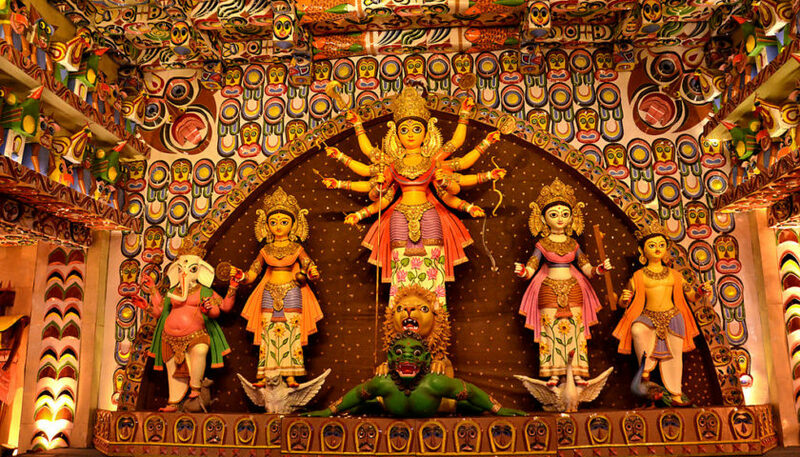 During the Durga Puja , you get to experience the 5-day long cultural extravaganza. 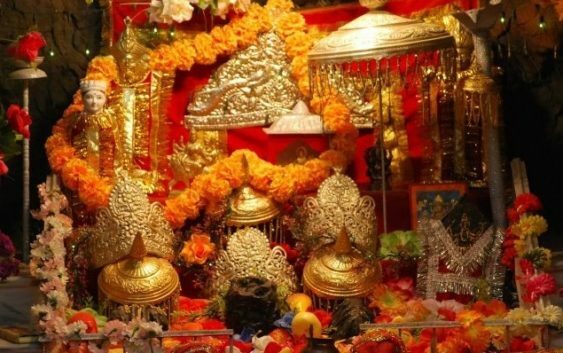 You need to get immersed completely in the festivities and visit multifarious small pandals that are organized on the basis of different themes in the entire city. It appears to be basically like a carnival that has engrossed the entire place in it. Virat Mela in Chattisgarh is exactly where you get to experience the pulse of Navratri. You get to see a unique celebration that pertains to the festival in Bastar. Here, the major attraction remains to be Devi Maoli, a local Goddess who is worshipped. 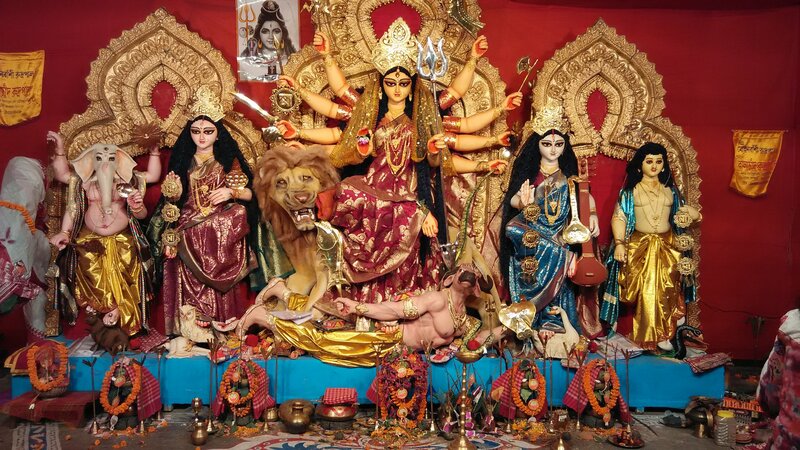 Also, the sisters of the Goddess are worshipped during Navratri. The priests as well as the devotees gather to get the local deities to the Danteshwari Temple which is situated in Jagdalpur in chariots accompanied by a holy procession. The chariot is a preparation of the local artisans who prepare the same making use of the traditional tools. To have a completely enriching spiritual experience you ought to visit Katra during the period of Navratri. Here you get to enjoy the chants of Jai Mata Di filling the air. The ambience of this oldest and the most visited place will fill you with positive energy as well as zeal. Varanasi is one of the most lively cities during Navratri where you get to enjoy not only the ambience but also the traditional Ramlilas which is actually a very enriching experience. Another geat level of this experience is the Ramlila at Ramnagar, Varanasi where you get to relish the recital of Ramcharitamanas for nine complete days while the celebration of the festival goes on. 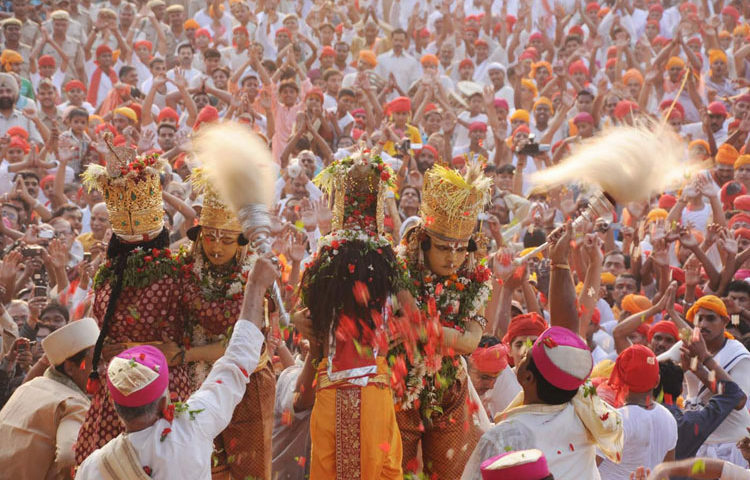 one of the major attraction is the event of Bharat Milaap. 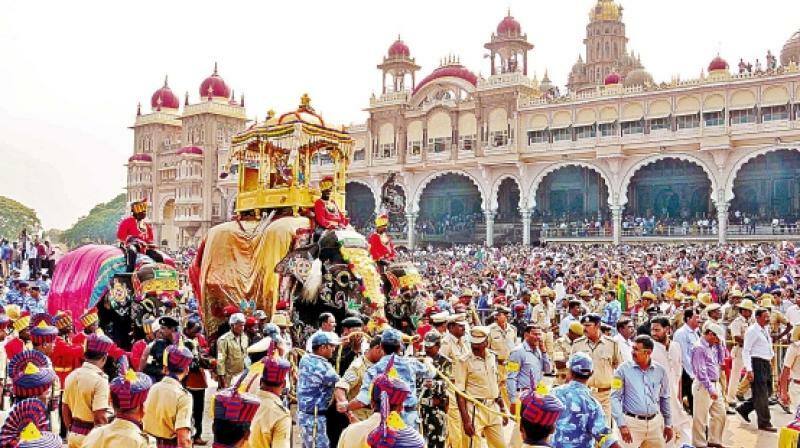 Though this period of time is celebrated all across the nation with great enthusiasm but somehow nothing can match the level of celebrations in Mysore where the famous Mysore Palace is decorated using thousands of lights on Dussehra. It is a real treat to the eyes. The most approachable place Delhi gives you a perfect glimpse of Navratri with religious music in addition to the recital of Ramayana. 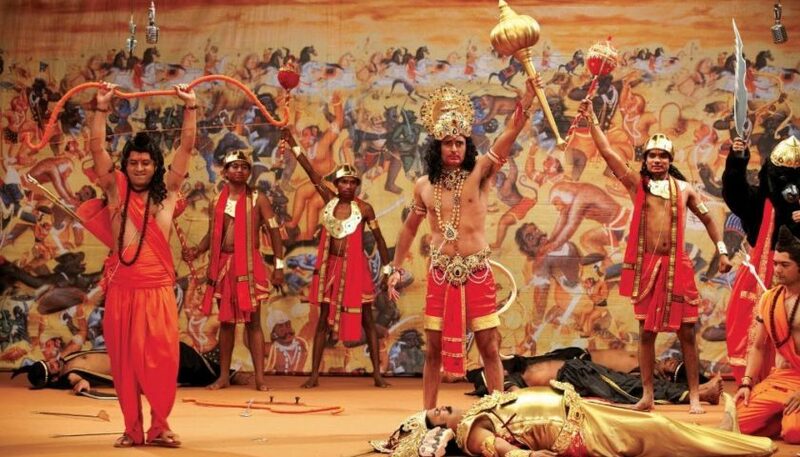 Ramlila takes place at maidaans in the evenings in the company of burning the effigies of Ravana, Kumbhakaran and Meghnad. Another attraction remains to be the display of fireworks. Kullu Valley is popular for Dussehra celebrations all across the globe. 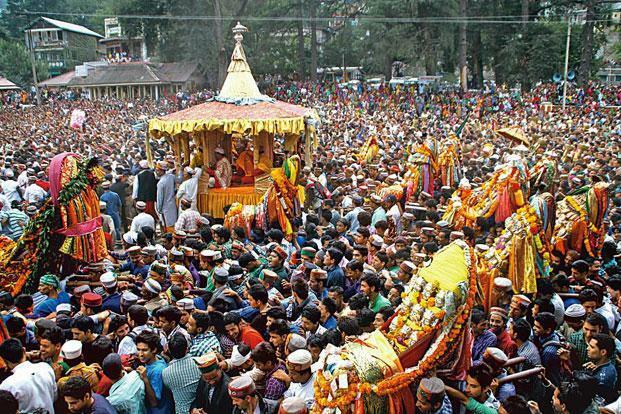 In Kullu, the celebration is basically around worshipping Lord Raghunath on the fairground of Dhalpur Maidan. 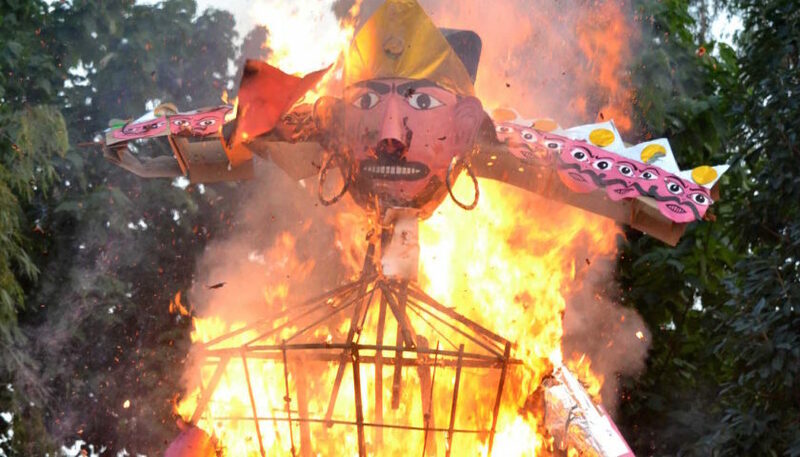 The idols of local gods as well as goddesses come to the fairground via holy procession after which a heap of wood as well as grass is set on fire on the banks of River Beas. This symbolises the burning of Lanka. Do not forget to enjoy as well as rejoice the nine musical nights at Mumbai. Here the grounds are replete with people who are wearing colourful dresses. Also, the streets come alive with the music. All in all, these are the Top 9 Must Do Things In India During Navratri. Make an effort to witness all of these as it is worth the effort.